As a retail owner or manager, it can be frustrating when a slump hits, sales go down and foot traffic isn’t as active as it needs to be. With online sales growing in popularity, it’s more important than ever that brick and mortar shops keep their marketing going. 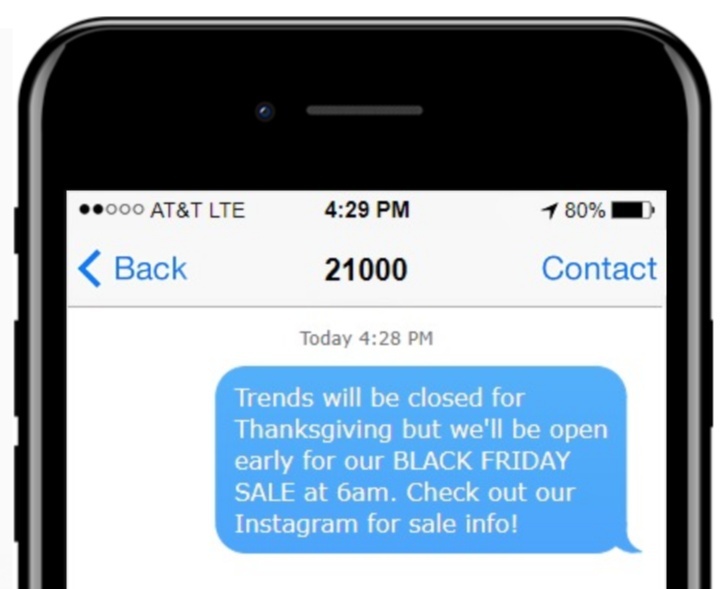 Text Message Marketing for retail stores and outlets is a great resource to utilize to increase in-store traffic and sales. Text message marketing also known as SMS marketing, is a way to send bulk messages to your own unique list. With your customer’s permission, you can add them to your text group or they can text in to join your text group to receive text messages directly from you. You decide what to text them and how often, you can send these messages out on demand, or schedule them out to save time with your marketing messages. 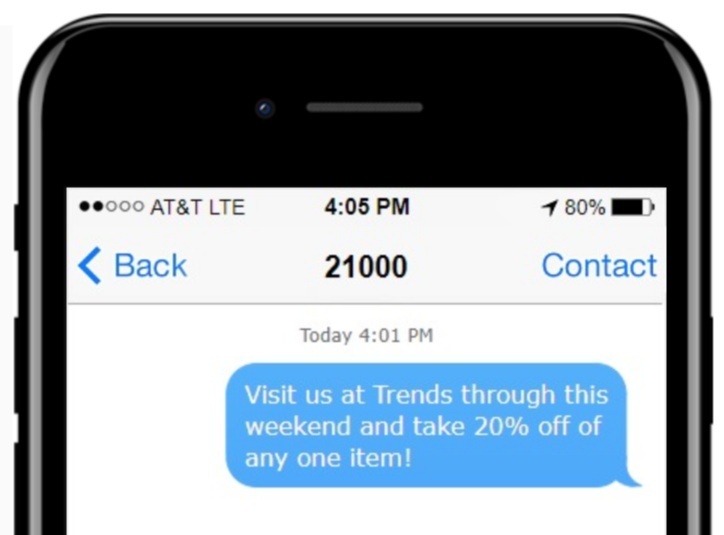 Why Text Message Marketing Works for Retail. Text messaging is the quickest way to get a message across. 98% of text messages are opened and 90% are opened in 3-minutes or less! This is the perfect tool to get your specials or new product information out to your customers wherever they are in minutes. Relying solely on print, email, or store signage can result in low response rates to your sales since such a low number of those things are seen. Train your cashiers to offer the incentive at check-out in case the customer has missed the printed materials during their trip. 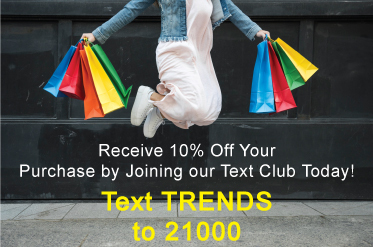 They could say, “I can give you 10% off of your purchase right now if you text into our text club, we’ll send you specials and promotions.” Have the opt-in instructions right by the cashier so it is easy for the customer to complete. Create a Poll: Ask your customers what types of products they want to see more of, use the data to select inventory your customers want to buy. 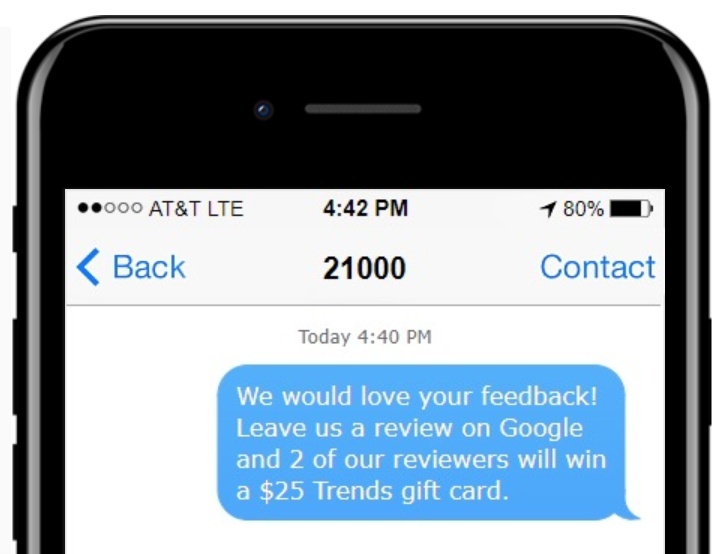 Create a Text 2 Win Campaign: Generate customer engagement and have them enter a giveaway. With our text software, you can set it to automatically select a winner at a specified time and date from the entrant’s list. Text your Customers Link to Your Website: Send them to your shop page or to your social media pages. Ask them to like or follow your pages to keep them further engaged with your retail business. You can also use this to get reviews! Integrate Text Marketing for Your Retail Store in 3 Easy Steps! Sign up for our 15-day free trial, no credit card required. Upon signup, you’ll be asked to choose a Keyword. 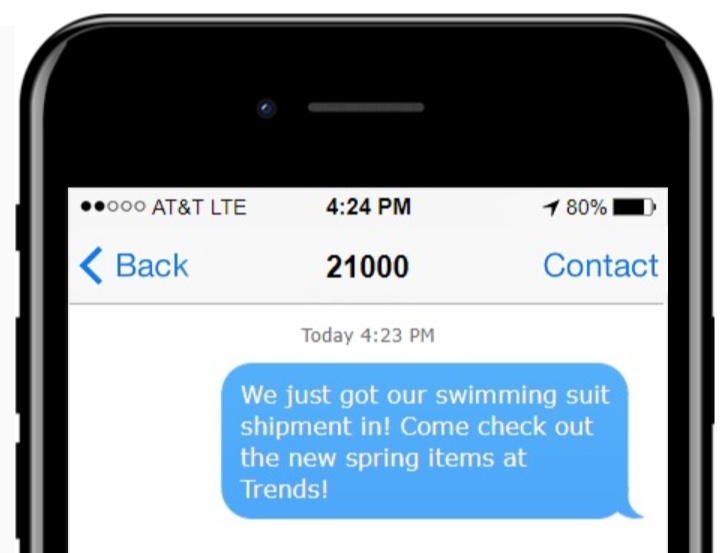 Your keyword is the word your customers will text to join your text list. If your store’s name is Trends, you could choose the keyword Trends. *Tip, make sure the keyword you choose is easy to spell and is not a word that tries to auto-correct. Set your auto-responder. In your dashboard, you’ll set-up your auto-response message. This is the message that is automatically sent back to a customer when they text to join your text list. You can change this message at any time. Text coupons are redeemed 10 times more than print coupons and at the end of the day, a lot of people forget to clip a print coupon and bring it with them. A text coupon is always on the customer’s phone and therefore is utilized more. One-to-one communication via text message with customers is a great way to establish a relationship and encourage long-term customer loyalty with your store. Your text marketing can be a natural extension of this, which means you don’t always have to be selling. A good example of this is to send them a personalized birthday text. Customers can also text you and ask specific questions which allows you to use it for customer service as well. If You’re New to Text Marketing, That’s Okay, Our Team is Here to Help You. Upon sign-up with our system, you’re assigned a Customer Success Representative. Your rep will be reaching out to you personally via email or phone call to help walk you through the initial familiarization and setup of your dashboard, answer any questions you may have and will be a great continual resource for ideas on how to increase your customer text list. They can help you create flyers and print materials for your business. Once you’re set and understand the fundamentals your rep will always be available for you to reach back to. Your reps number one priority is making sure you are successful! Once you’ve set up your text account you can send messages on demand or schedule them months into the future. It is important to try and measure the success of each of your texts. If some of the texts are seeing better results than the others, consider sending more of that type of text message and cut the ones that aren’t performing. This is something our team is happy to help strategize with you as you continue to grow your text list and try new types of messages. 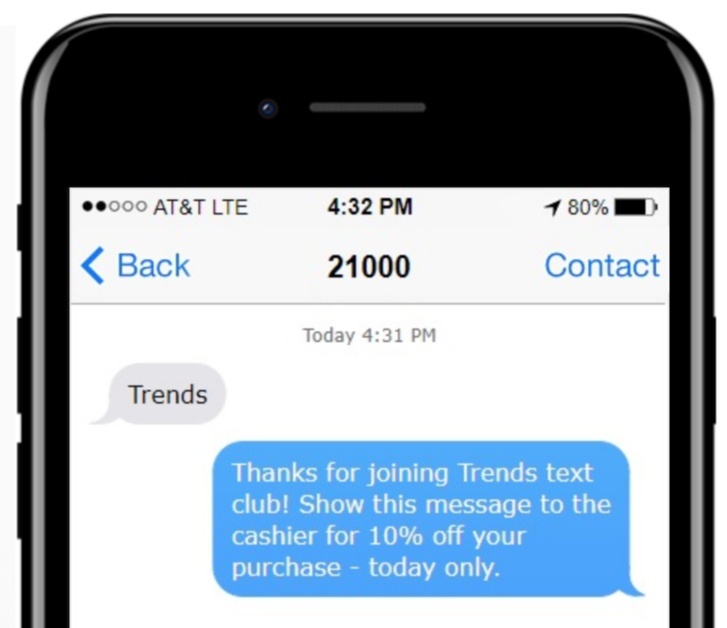 As you can see, there are so many ways to use text message marketing for retail stores and outlets. 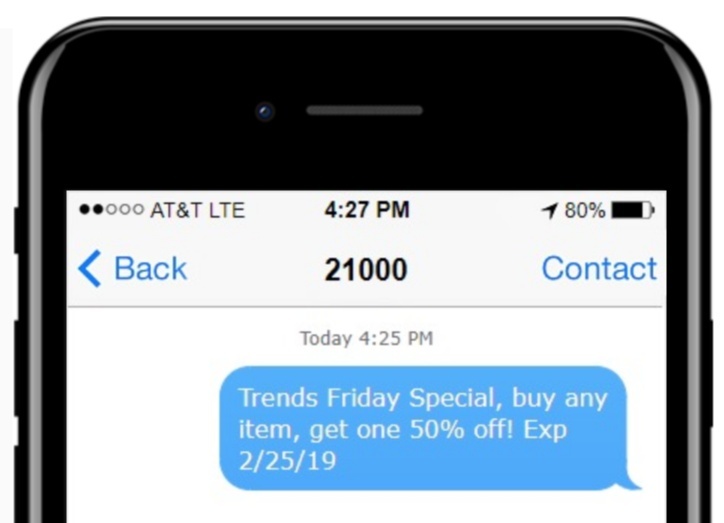 Any store owner can try out the benefits of using text messaging for customers and to build clientele and increase sales by setting up a text message marketing campaign.